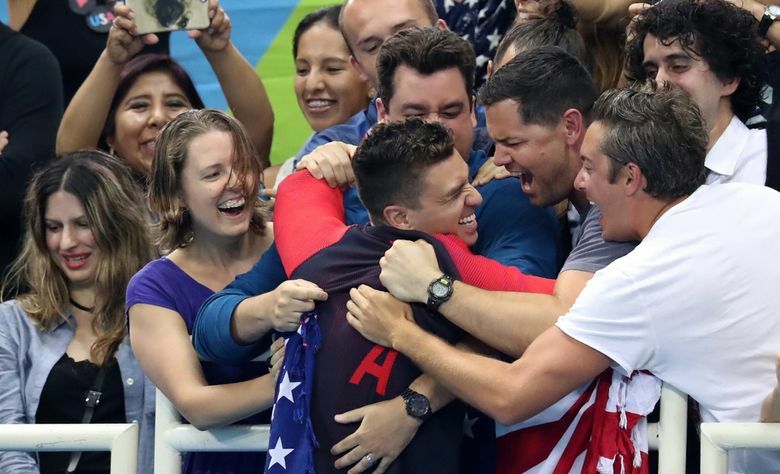 RIO DE JANIERO — Sixteen years after winning his first individual gold Olympic medal, Anthony Ervin picked up his second with a furious dash across the pool. Completing a remarkable journey, the U.S. swimming team’s oldest member touched first in the 50-meter freestyle in 21.40 seconds, edging French star Florent Manaudou, the heavy favorite, by one hundredth of a second. 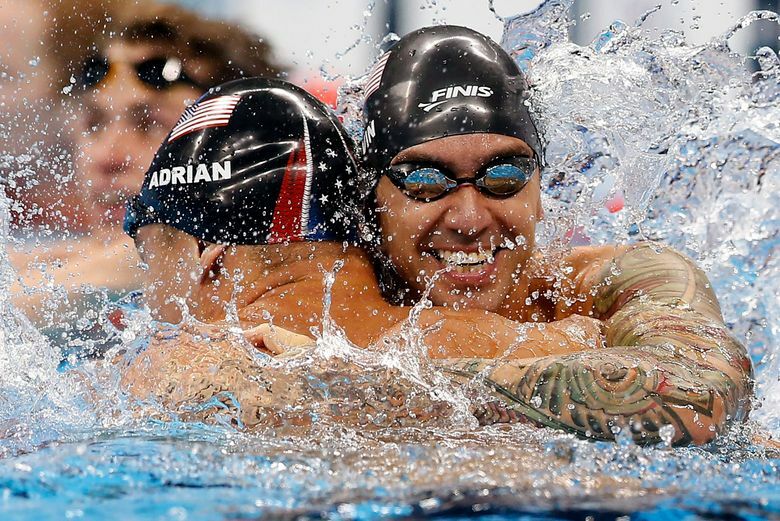 Ervin’s U.S. teammate, Bremerton’s Nathan Adrian, was third. The 35-year-old Ervin won his first gold at the 2000 Sydney Olympics, tying teammate Gary Hall Jr. for the top spot. Then, Ervin walked away from swimming and embarked on a journey to find his purpose in life. He returned to make the American team in 2012 and failed to medal in London, but was back on top of the podium in Rio. That capped a busy day in the pool that saw another gold medal by Katie Ledecky and quite possibly the final individual race for Michael Phelps. Meanwhile In a changing of the guard that left him totally at peace, Phelps was beaten Friday by a 21-year-old who grew up idolizing the most decorated athlete in Olympic history. Joseph Schooling of Singapore built a big lead in the 100-meter butterfly and easily held off one of Phelps’ patented comebacks, leaving him at 22 gold medals with one race, a relay, left to go. And that will be his final event, Phelps insisted. This being Phelps, he had to do something out of the ordinary, even in defeat. 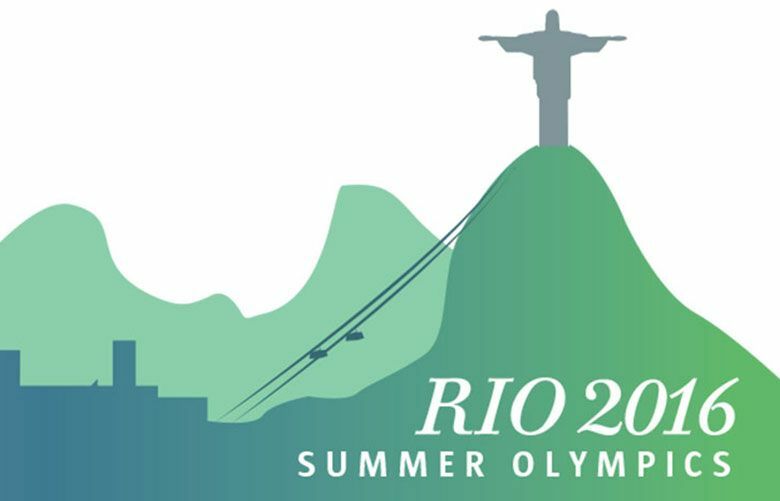 He was part of the first three-way tie for silver in Olympic swimming history, joined by longtime foes Chad le Clos of South Africa and Laszlo Cseh of Hungary. They all touched in 51.14 seconds. With four gold medals at these Games, Phelps has an opportunity to pick up one more. He leads off with the butterfly in the 400 medley relay on the final night of swimming Saturday. Ledecky was dominant again in breaking the world record in the 800 freestyle. She became the first woman since Debbie Meyer to sweep the three longer freestyle events at the same Olympics. Meyer took the 200, 400 and 800 at the 1968 Games. Ledecky powered away from the field to touch in 8 minutes, 4.79 seconds, eclipsing the mark of 8:06.68 that she set in January. America Maya DiRado knocked off the Iron Lady in the women’s 200 backstroke, pulling off a furious rally on the final lap to beat Katinka Hosszu. DiRado’s upset denied Hosszu a fourth gold in Rio, and capped off a remarkable one-and-done Olympics for the American. She has won two golds, a silver and a bronze.